Annette did her studies in Medical Engineering at the FH OÖ in Austria. 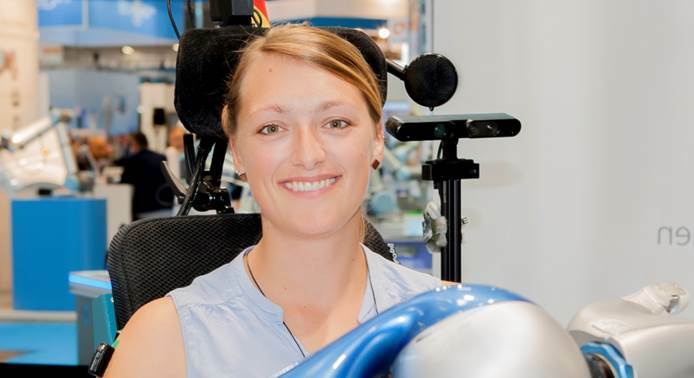 For the master thesis she joined the Institute of Robotics and Mechatronics at DLR in Oberpfaffenhofen, where she started to work on haptic feedback methods especially for people using hand prosthesis. After finishing her masters, she decided to stay at DLR as a scientific associate in the field of assistive robotics. In the last years she worked mainly on a robotic system designed for people with severe muscular atrophy, controlled by an EMG-based interface. As an external student Annette joined now the MaD Lab for doing her PHD. Her further scientific work will also focus on the EMG-based interface for people with limited mobility.